Home Blog MAHA NGO Federation Launches Its Brand New Logo! 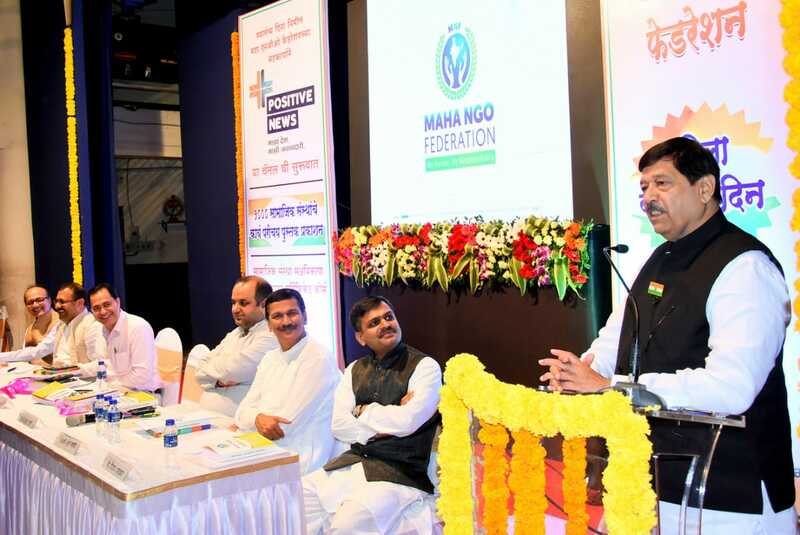 MAHA NGO Federation Launches Its Brand New Logo! On the occasion of Independence Day team IKF (I Knowledge Factory Pvt. Ltd.) crossed another milestone. 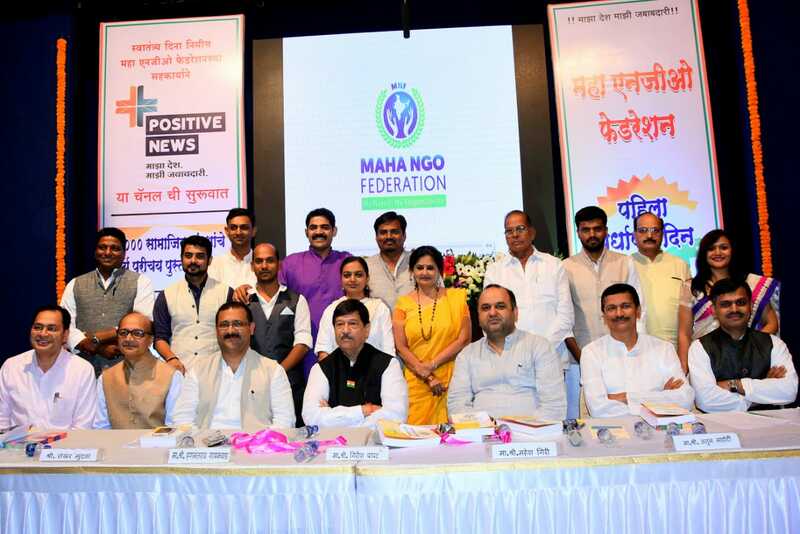 MAHA NGO Foundation (MNF) one of the most renowned and trusted non-profit organizations from Pune, Maharashtra launched its brand-new logo which was ideated and designed by IKF. 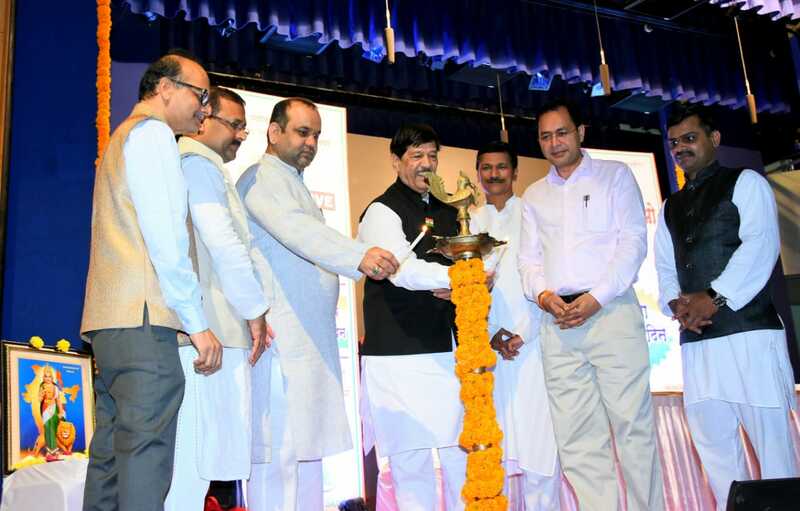 The logo was launched by Guest of Honor - MP Shri Mahesh Giri in the presence of dignitaries like Shri Girish Bapat - Guardian Minister, Shri Hanmantrao Gaikwad, Shri Pralhad Laddha, Shri Atul Lahoti. All of these personalities were highly impressed by the logo and appreciated the conceptualization behind it. 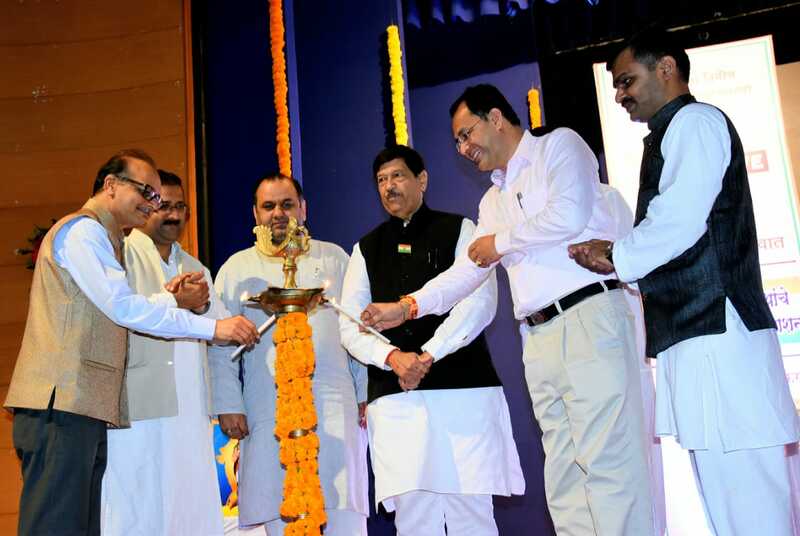 Logo Launch: The first event of the function was the logo launch. The respected Guest of Honor - MP Shri Mahesh Giri came forward and revealed the logo for people to see. The logo was well-received by the dignitaries and audience alike. 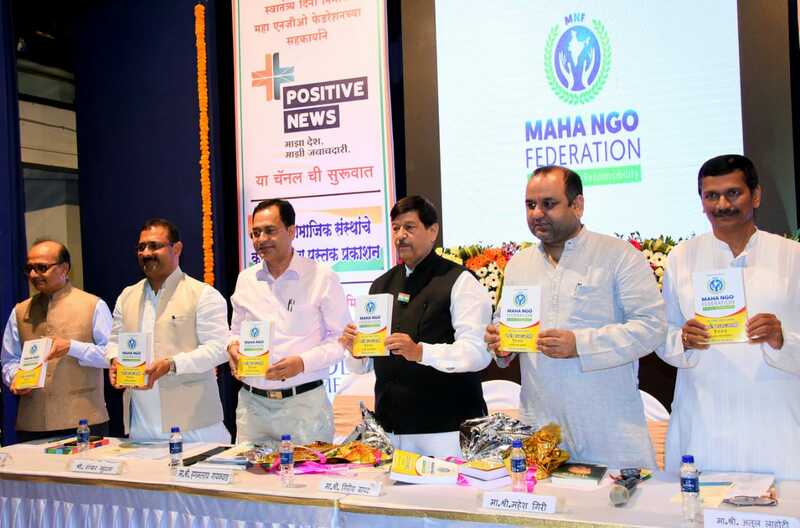 1000 NGO Book Release: Shri Shekhar Mundada released the second version of MAHA NGO Federation journal listing 1000 NGOs. This book aims at enhancing the lives of the underprivileged people. 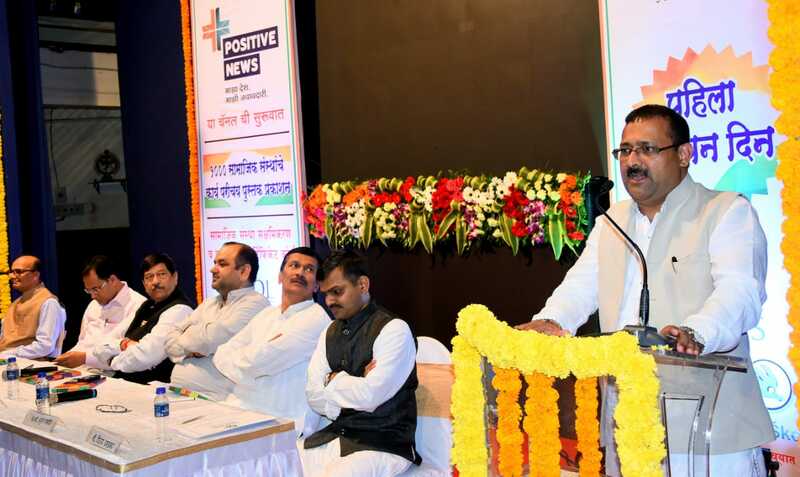 YouTube Channel Launch: MAHA NGO Foundation also took the opportunity to launch their brand-new YouTube channel. Social Work Certificate Course: A one-of-a-kind social work certificate course was also commenced in the function. CSR summit and NGO Exhibition Declaration: Towards the end, announcements regarding CSR summit and NGO exhibition were also made. The entire event was successful and IKF is really grateful for the opportunity that MAHA NGO Foundation provided us with. I Knowledge Factory is a one-stop shop if you are looking for digital branding and marketing services. We are experts in the digital arena and have 18+ years of experience to help you with. Our services are spread across the globe with over 850+ clients till date. Give us a call on 8888866110 or drop us an email at sales@ikf.co.in to discuss your next assignment.